Today’s featured story can be seen at the Smith in The Colours of Nature exhibition by the Scottish Society of Botanical Artists. Although botanical art is centuries old, the SSBA is a young organisation and this is their second annual exhibition. Botanical art is very different from flower painting as it requires scientific accuracy and great attention to detail. Because the Stirling Smith’s first curator, Alexander Croall was an outstanding botanist and specialist in seaweed studies, this painting by Margaret Walty has been purchased for the permanent collections by the Friends of the Smith. 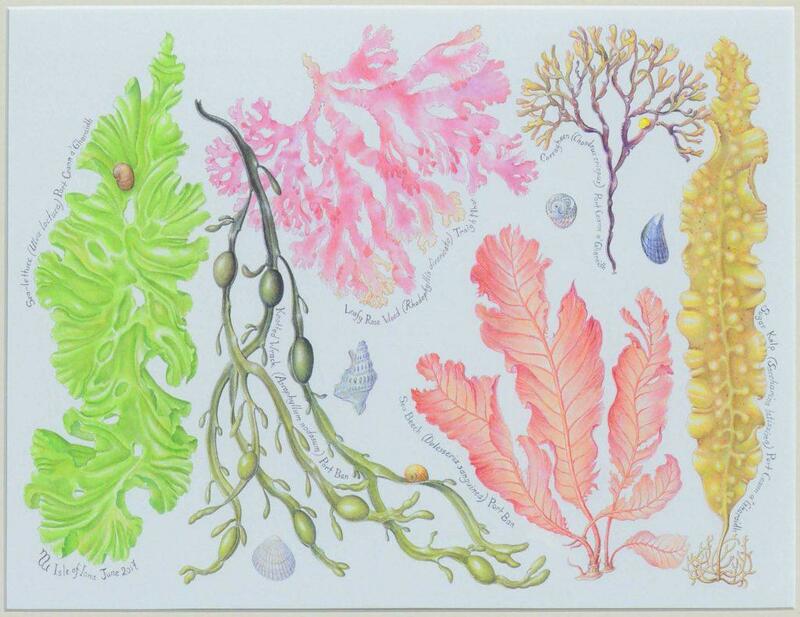 A copy of Croall’s four volume British Seaweeds: Nature Printed of 1860 is also on show. The exhibition finishes on 22 October but there will be a chance for young people to experience botanical art at first hand with the special ‘Autumn Leaves’ workshop on Saturday 21st October. Between 11 am and 3 pm there will be a ‘Drop-in Session’ for ages from 6 years to 14 years old. The artists will explain the science behind the leaves ‘turning’ to the glorious autumnal colours they do. The young people can then draw and colour in their leaves, helped by the Botanical Artists. The event is free and no booking is needed, so come and join in!